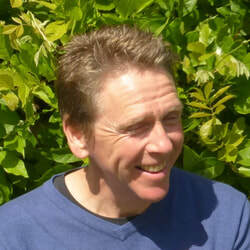 I am a professional and experienced gardener - based near Sevenoaks - offering a range of garden maintenance and development services for customers in the local area. I have worked as a professional gardener for fifteen years. I trained at Capel Manor College in London and went on to look after the much-loved Colour Spectrum at the Royal Botanic Gardens, Kew. I also worked with Landform Consultants on domestic gardens and on projects at the Savill Garden, London Zoo and with the designers Christopher Bradley-Hole and Luciano Giubbilei. I then spent five enjoyable years managing the garden of a private house in London, where my brief was to introduce more colour to the garden and to maintain it to a high standard. More recently I have worked at Godinton House near Ashford, a beautiful early twentieth century RHS partner garden which is open to the public. I have a strong interest in garden history and also in planting design, with a particular emphasis on working with the form and colour of plants to create beautiful, evocative spaces. I am also very much a hands-on gardener and I take great pleasure in seeing a garden flourish and meet the needs of its owners. I am based near Sevenoaks in Kent. 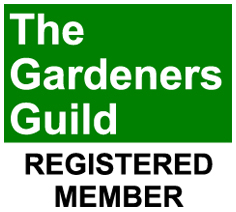 I will be glad to visit you for an initial consultation about your garden. My contact details can be found on the Enquiry page. I am a member of the organisations below. Professional references can be supplied on request, and comments about my work are available on the Testimonials page. I have public liability insurance up to £1m.